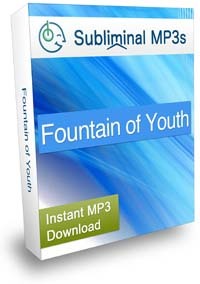 Use our powerful subliminal album to discover the fountain of youth and to slow down your mental aging process. Do you hate the thought of looking old? Do you look older than you actually are? Do you wonder how some people look a lot younger even at late age? Do you feel tired, lethargic, apathetic - do you feel that you're mentally aging? Do you want to naturally rejuvenate your body and spirit? This album won't grant you immortality, but it will help you to get the most out of your life with the least possible effect of aging. We all age, there's no remedy against that; our skin loses its tone, our bodies lose their strength, and aging also affects some people's mental state - they lose the joy for life and it makes them look even older than they actually are. If you're experiencing this state, you need to snap out of it and to realize that your life isn't over yet! Reclaiming your youth spirit will instantly take away several years of your face, and keeping it will ensure that you look and feel a lot younger than your birth card says. 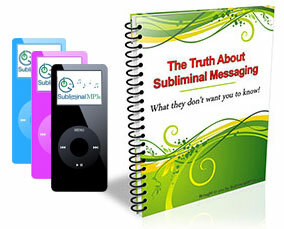 This subliminal album is designed to target those areas of your mind responsible for rejuvenating your spirit and your body - it reprograms your unconscious mind to slow down the mental aging process and to give you that empowering feeling that you're at your peak, every day of your life! Firstly, this album will help you to bypass your inbuilt limiting beliefs and allow yourself to begin to accept the positive thoughts that lead to your development. It acts as a general health subliminal. It will improve your blood flow and circulation and boost your immune system, assuring that you have a healthy and consistent of nutrients and essential resources all around your body. It will energize your mind. There is an old saying that "you are only as old as you feel" - this album aims to make you feel young and to develop a youthful, happy, adventurous spirit. You will want to get the most out of life and look positively at everything. If you are having a "mid life crisis" or are just depressed about getting older and all the things you are too old to do now then this album is for you. It will change the way you see yourself, and the things you are capable of doing. Download this album today and take back your youthful energy and get a new lease of life!